Virulent Swipe is not exactly on theme, as it would shift the deck into aggro, but it would fit well. More on theme: Vapor Snag/Unsummon would be excellent early plays, as the deck doesn't handle aggro well. Fatal Push would be better than Hero's Downfall, for the mainboard. 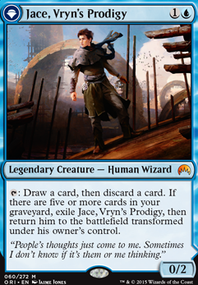 If you prefer more options/are running into a plethora of planeswalkers, then Boomerang (more for Tron lands), Consign / Oblivion, Disperse, or Perilous Voyage. Thoughtseize, Inquisition of Kozilek, and Unmoored Ego are good control sideboard options. I like this, but, as it isn't that quick, it could use more control to combat aggro/burn strategies. I hate to be this guy and I promise I have an actual comment but let's get this out of the way... In your description, you list Instants and Sorceries as Instant's and Sorcery's. This implies one of two things; that Instant's and Sorcery's is either being used as a contraction or a possessive. If it were a contraction, then Instant's would be short for "Instant is". If it were a possessive, then Sorcery's would describe something belonging to a sorcery. If you're using the words as plurals, it becomes Instants and Sorceries. I'm so sorry. Time for my actual comment. This deck needs more consistency. 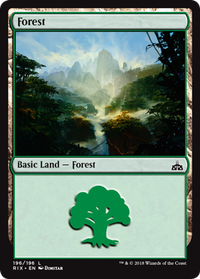 The only cards you have four of are lands, and that's a bad sign. I would recommend the following changes. Replace Perilous Voyage with Unexplained Disappearance. Surveil is better than scry. It can get instants and sorceries with jump-start into your graveyard. Not only that, but it surveils no matter the target. Replace Wizard's Lightning with Lightning Strike (or Lava Coil, depending on what you usually hit) or get more wizards. Right now you have seven wizards in the deck, and three of them are Goblin Electromancer, which makes the price the same anyway. So you have 5 cards in your deck that would make Wizard's Lightning better than a plain ol' Lightning Strike. I would recommend switching your Crackling Drakes out for two more Wee Dragonauts. Fight with Fire is usually going to be either a worse Banefire or a worse Lava Coil. If you get to nine mana, it's better than Banefire, but until you get there, it's a worse Lava Coil. 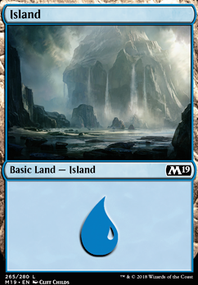 Since a little over a third of your deck is lands, you'd have to draw approximately 22.5 cards to get to nine, unless luck is on your side. So unless you draw maybe 23 cards, and discard 0 lands to jump-start costs, Fight with Fire is worse than either Lava Coil or Banefire. Ral, Izzet Viceroy's + is bad. His - is only okay. Why are you running him? If it's for the ult, then stop because planeswalkers never get to ult until you've already basically won the game. Was also going to suggest Blink of an Eye but Perilous Voyage could also be a slight upgrade. River's Rebuke for late game as well. Perhaps a Dream Eater or Guardians of Koilos If you need more creatures. I feel that Perilous Voyage isnt acomplishing too much. The loss of CA so early in the game hurts way too much... I don't see any need for Patient Rebuilding. I already have a lot of card draw/cantrip effects and full tapping on turn 5 is really uneffective against aggro, so maybe against midrange decks. I also feels that when i have 5 unused mana, the game is either already win/already lost. Tempest Djinn sounds good but im worried about lava coil, that makes him useless against red aggro which is the hardest machup anyway. 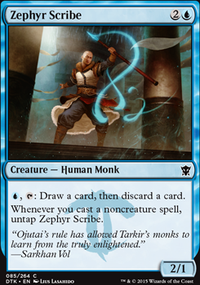 Tempest Djinn can curb aggro and be an alt win condition. 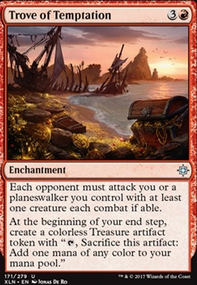 Perilous Voyage can slow aggro down and help dig for mill pieces. Can consider it to be copies 5-8 of Blink of an Eye. 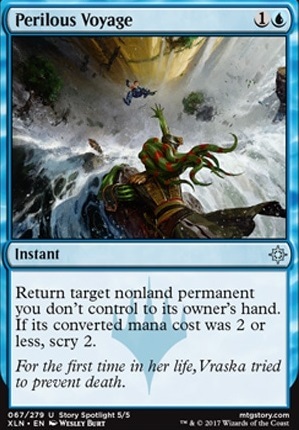 masterk2, the Perilous Voyage also removes Ixalan's Binding and other annoying control enchantments. It's great when they use it on Adeliz, then you Voyage the card, play two more instants/sorceries, and swing in unchecked on turn 4. As far as the Maximize Velocity, I am inclined to agree with you, though more than half the creatures don't have haste. I'll playtest a few games with it swapped in for cantrips, perhaps even Opt, but I'd prefer something in red like Warlord's Fury, what do you think? That would help keep the deck at a perfect 50/50 mix of colors, something I really like to do. Part of the reason for this deck build is that it is very scientifically broken down, just like a true "recipe" should be. 50/50 red/blue, 1/3 each lands, creatures, and instants/sorceries. I think it offers over all consistency, while also making for some fun potential high-blast scenarios. saj0219, in regards to the Perilous Voyage over Unexplained Disappearance, the former can also remove enchantments, artifacts, sagas, and planeswalkers, whereas the latter can only work on creatures. That is why I chose to keep it. 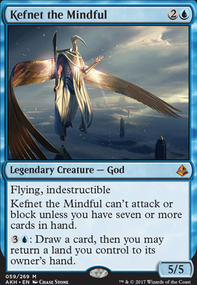 Also, the way I use it is to more often do a turn 3-4 removal of their only flying creatures before swinging in with a lot of things, so the target is usually something CMC 2 or less. As for Mistcaller, I've seen a lot of decks with Isareth running around, especially locally, and there is also the spider in Golgari that has Undergrowth to place a critter on the deck. 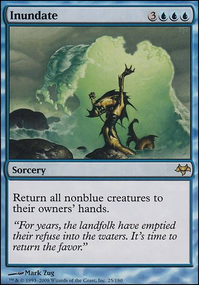 It's major upside is that it is only one mana, so I can have a total of 3 creatures out before Adeliz hits the field, and swing for a total of +16 damage on turn 4, which will often be game. In regards to the Beamsplitter Mage, I chose him over the other suggested creatures after a LOT of playtesting. After about 30 matches with each potential combination, he was the one that was most consistent through it all. While I agree that the Maximizes are too telegraphed, having them be able to be cast twice total helps with the lack of card draw issue, by basically having extra spells to use in the graveyard for when I get mana flooded. I promise, I've tried to think of just about every possible situation, and tested over 7 different variations on this deck, but for pure aggro and speed, this was the best I could find. The only thing that kept up, changes-wise, was subbing in several more cantrips like Warlord's Fury and Opt for the Maximizes, and trading Perilous Voyage for Radical Idea, then getting Goblin Electromancer in the two drop slot. Also, one of the wizards would come out for Lightning Strike. But the deck had less consistency in actual playtests against other real decks. Against a control matchup, who can maybe take out one of my creatures starting turn 2 or 3, but the enchantments can be handled by Perilous Voyage, this deck, with its sheer VOLUME of casts and creatures, would far outpace and win 8/10 times. You suggestions are awesome, though, and I'm going to consider them in some of my other Izzet decks (I totally don't have 5 built at this exact moment, that would be crazy, right?!) and see how they work out. 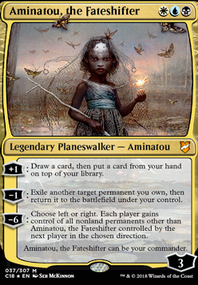 As for brawl, Adeliz was my commander too, but the format did NOT survive locally. Thanks again for the awesome tips, and I look forward to collaborating more in the future! -4 Perilous Voyage, +4 Unexplained Disappearance. I think always getting surveil 1 is better than sometimes getting scry 2, especially if you're using your bounce to clear the way of larger and more expensive creatures. Have you considered finding a spot for Dismissive Pyromancer? I'm not sure what Mistcaller is really protecting you from. Convoke still counts as casting, so Impervious Greatwurm gets through. The only new graveyard recursion from Guilds of Ravnica I can think of is Gruesome Menagerie. I'm sure I'm forgetting some things, but this doesn't really seem like that big of a threat at the moment, so maybe it gets cut?